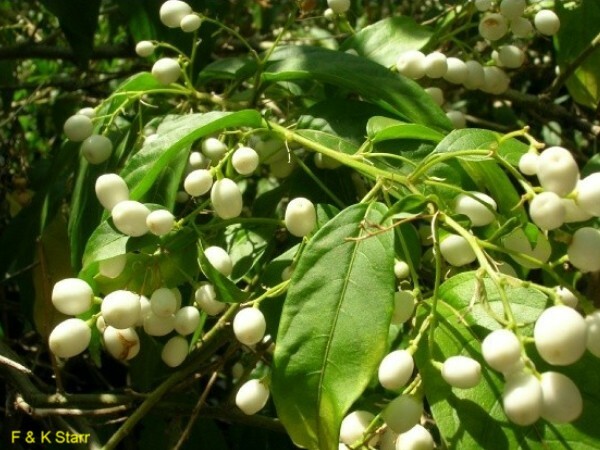 Comments: Has several outstanding qualities: strong, sweet-scented flowers; beautiful white berries and attracts butterflies. Can come back from roots when killed back by freezing temperatures. Can become somewhat invasive because it is a prolific self-seeder. Very easy to grow. Cut back canes after first hard frost. A heavy mulch over the stump will help bring plants through moderate freezes. Fragrance is especially strong at night during the period of heavy flowering.